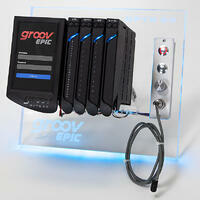 "An Introduction to the groov EPIC System" is a 3-day, instructor-led course with your own personal workstation and a groov EPIC Learning Center. Class size is limited to 12 students. This new training is available for $995 per student. However, with every purchase of the groov EPIC Learning Center, you'll receive 2 seats for attendance to the Premium Factory training. Check out the monthly schedule of upcoming classes and purchase your classroom seat today. Remember, FREE online training for Opto 22 products—including the groov EPIC system—is available 24/7 at training.opto22.com. More questions? Review the training class details or email training@opto22.com.